Before starting the process of rooting a phone you need to know what rooting is and what it does to your phone. 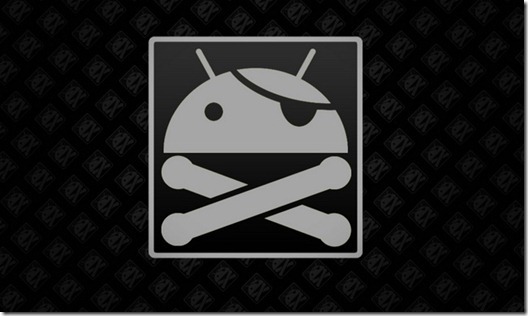 By rooting your phone you gain what is called superuser access to the phone. The superuser or root is a term for permissions in Linux meaning you have full control of the Android operating system and can make any changes you wish. Some people think that when they purchase a phone it is theirs and they can do whatever they wish with it but this is not the case, an Android phone is usually locked down by the Manufacturer or Carrier. You can not root your phone from your phone you will need to plug the phone into a computer and run an application that will root the phone. Now most tech people automatically root there Android phone as soon as they get it because it is fun an gives them a lot of options with their phone. But if you are not a tech person you may be wonder why would you go through all that to root an Android phone? The most common reason that people root there phones is that some apps available on the Google Play Stores require root or su access to the phone to work properly. Usually apps that need access to the phones settings require root access. One such app that I use on all my Android devices is Titanium Backup which is an app that will backup all your apps and data on the Android device. Additional apps that I use and require root are Screenshot app, and Wi-Fi tether which is an app that lets you setup Wi-Fi tethering and allows you to choose Wi-Fi settings. Another reason to root your phone would be to install a custom rom on the phone. A custom rom is a version of the Android operating system that was built by a third party and can improve or change the way your Android phone works. Depending on the phone there are usually many custom roms to choose from that improve different parts of the Android operating system. To find out more about custom roms the number one resources is http://www.xda-developers.com. When thinking about rooting your phone you want to make sure you understand the risk involved. The first thing to think about when rooting a phone is that some Manufacturers will void the warranty and not allow you to update your phone to the newest version once you root the phone. This is not as big of a risk because the Android development community is so large there are workarounds to restore your phone to factory which will allow you to update the phone. A second risk to think about is that the process of rooting a phone can sometimes be complex and if something happens while rooting the phone you could end up damaging the Android software and then require a factory restore of the phone to repair Android. Running a factory restore would cause you to lose all your apps and data that is not saved on the SD card. I know that is worrisome but if you follow the rooting instructions carefully an backup your data you can avoid that. I suggest that Android users think about what they would gain from rooting their device and see if that want or need outweighs the potential risk. I personally have rooted between 10 – 15 Android devices and I have not had any problems with messing up my phone and having to do a factory restore. It also helps to have good instructions to following when performing the root so you may want to look for easy to understand instructions for your Android device and having easier to understand instructions help make the process less stressful. Check below for helpful websites about Android development and check back for more articles about rooting and installing custom roms on Android devices.